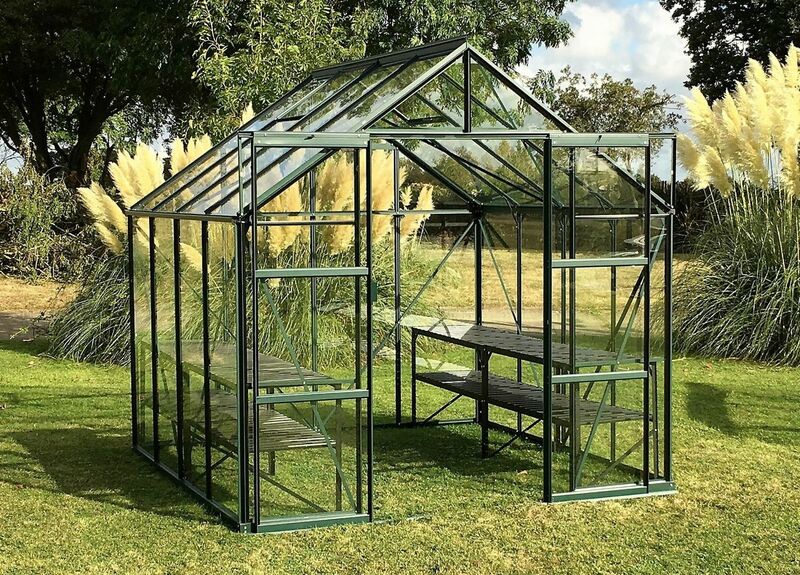 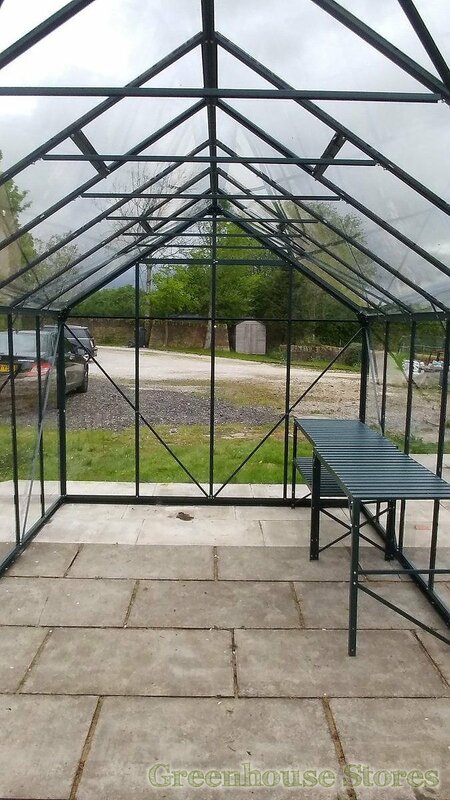 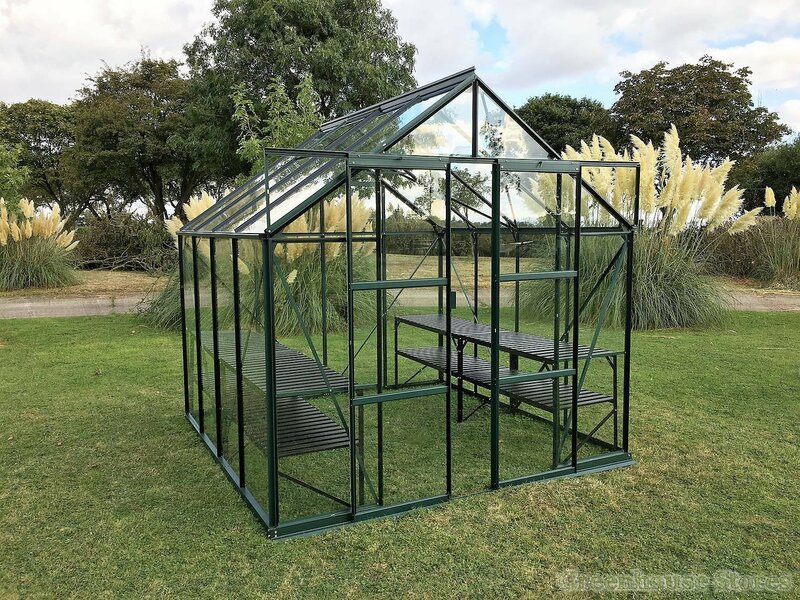 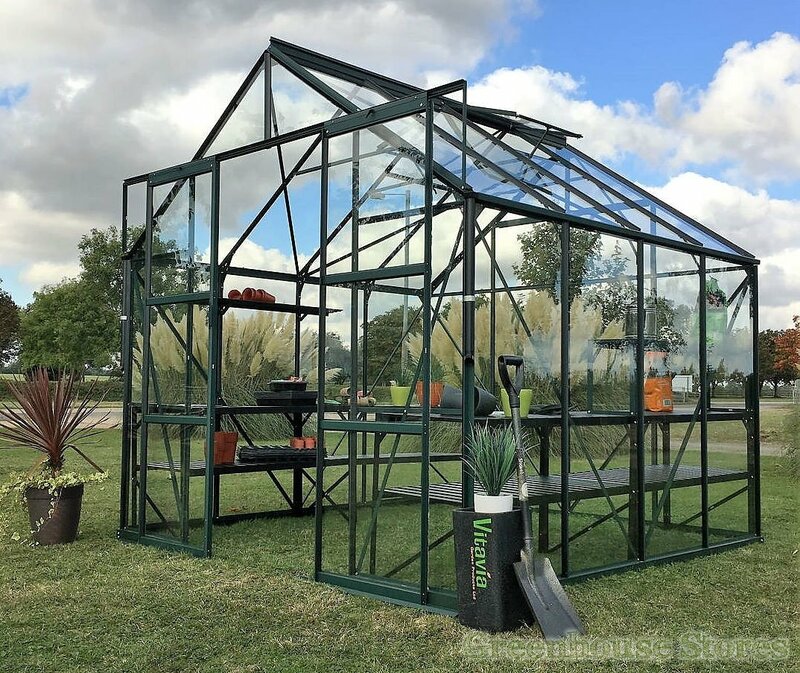 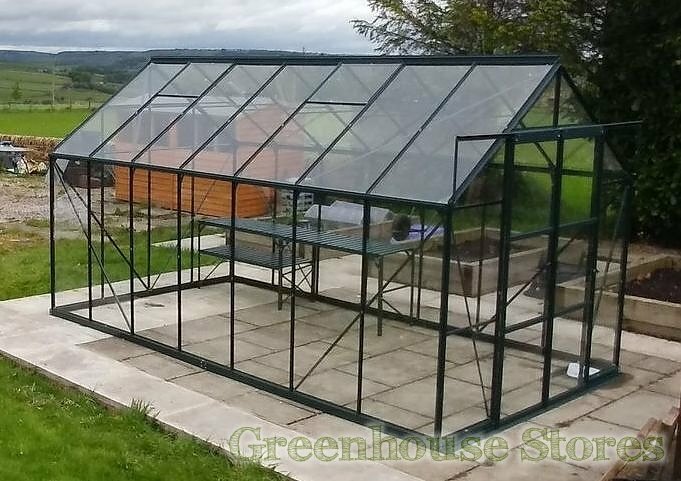 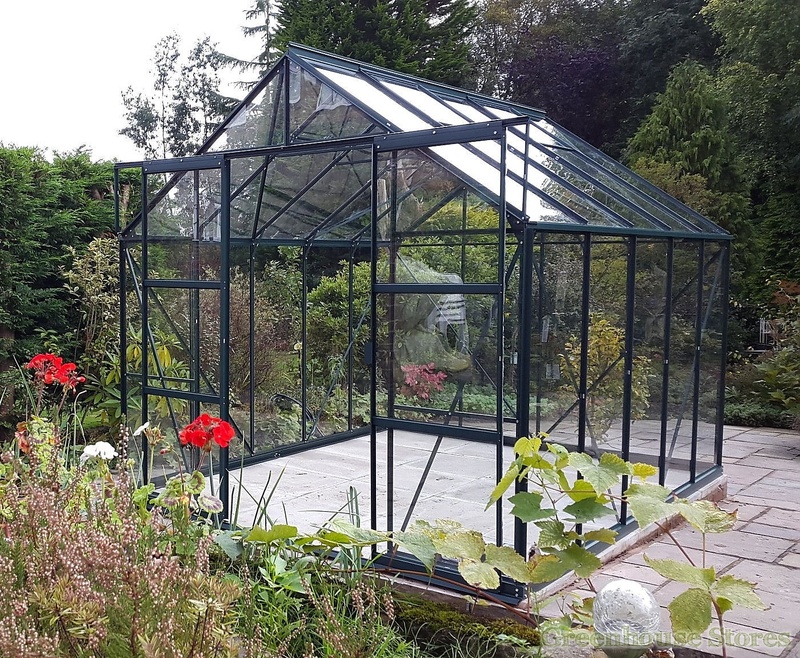 The 8x12 Green Vitavia Phoenix Greenhouse with polycarbonate glazing is perfect for serious growing in the garden or on the allotment. 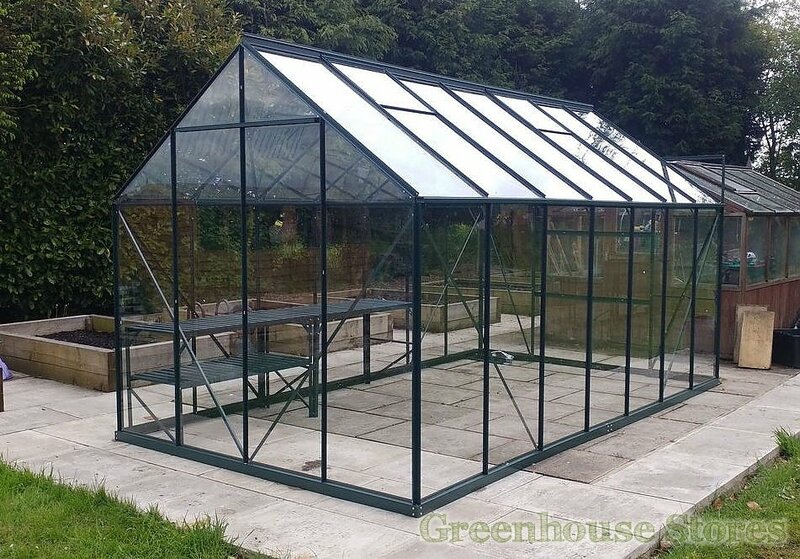 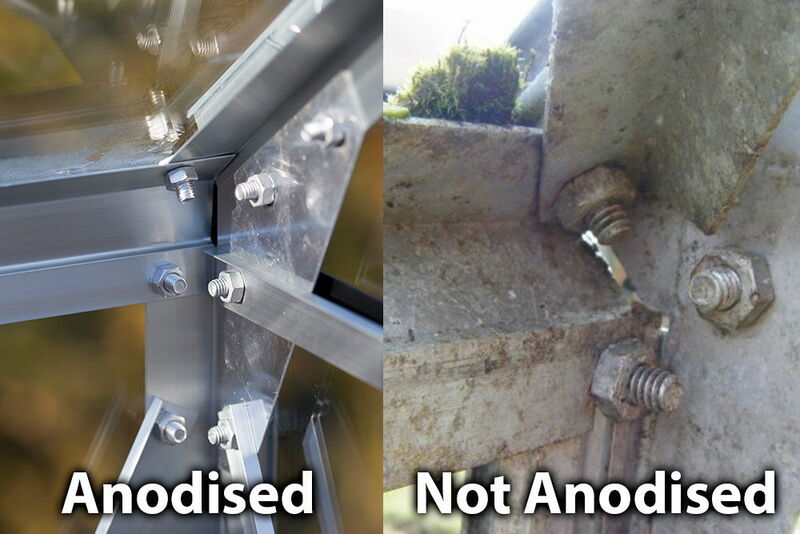 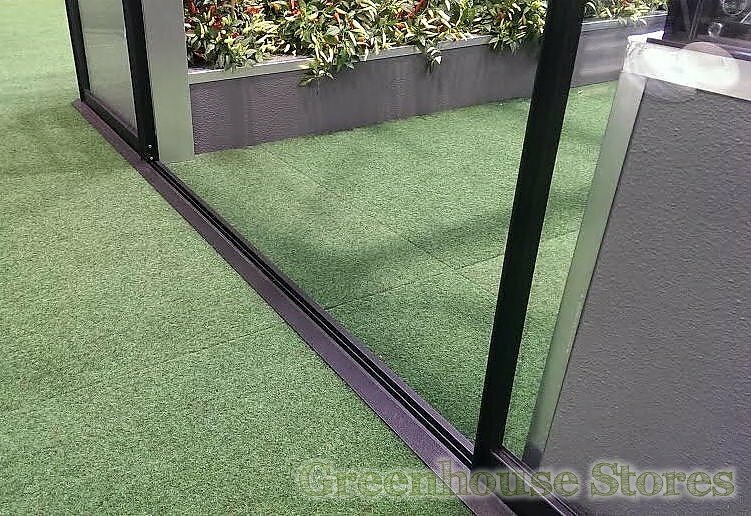 Polycarbonate is shatterproof and therefore very safe and largely vandal proof. 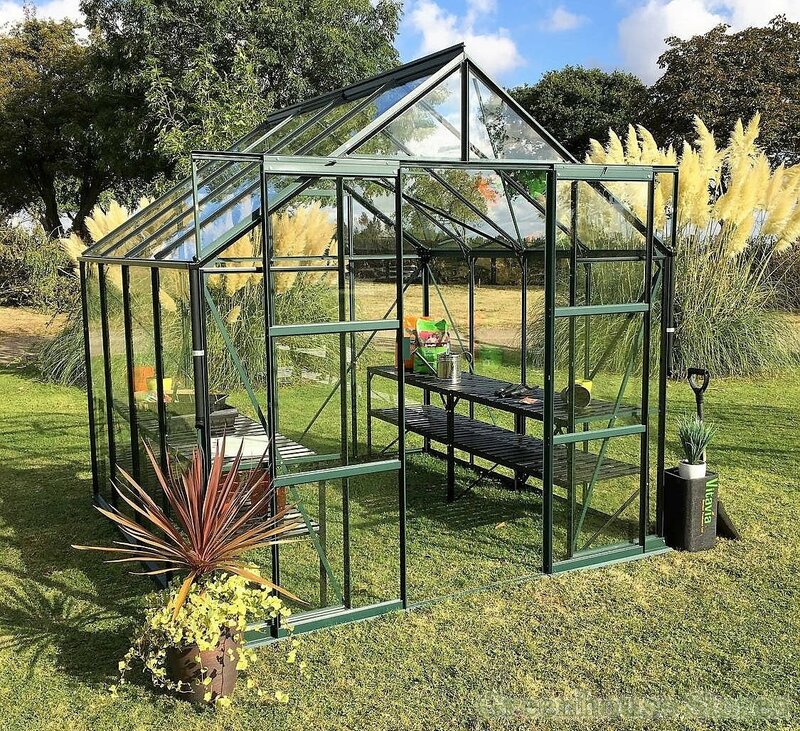 The green Vitavia Phoenix 9900 8ft x 12ft has 4 opening roof vents for effective ventilation, sliding double doors and an integrated base plinth and gutters.